When we’re down in the dumps or feeling scattered or distracted, it’s difficult to enjoy the day. The period gets coloured by the emotional cloud making it a challenge to be positive, happy or focused for hours to come. There are different mental exercises that you can do to change your mood. One of the ways to lift yourself emotionally is to use the power of music. It doesn’t matter whether you make the music yourself, are part of a band or you just enjoy listening to it. Music is life. 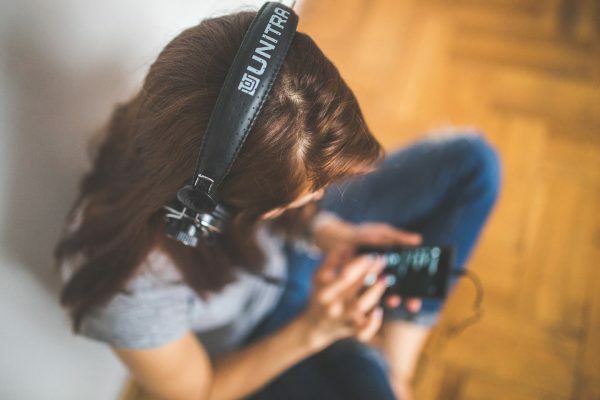 Here are some quick ways to use music to boost your mood. Trance music is a fast-paced electronic musical format that’s been developing over two decades. It now has many offshoots like side trance, progressive and other variations on a theme. The State of Trance podcast was one of the earliest and since then Dutch DJ, Tiesto, has also become popular with his ClubLIFE podcast too. The rapid drum beats, clever electronic melodies combined with effective mixing between songs and artists keeps the feet tapping. It’s difficult to stay down for long when you have some trance music thundering into your ear drums! Classical music tends to calm the mind, lower the heart rate and create an overall feeling of well-being. There are different pieces depending on what mood management you’re looking for. Some are far livelier than others with complete orchestras delivering a complex performance. There’s also the option to choose a classical piece that’s played using a favourite single instrument like the piano or the violin. Alternatively, if you enjoy the performances of a certain orchestra or composer, then choose these to get yourself out of the doldrums. If you find classical music difficult to get your head around and hard to find something suitable, then an easier way into it is through movie or TV scores. These soundtracks often have either an entire classical score or a blend of popular modern tracks combined with classical pieces to match the mood of the movie or TV scene when the background music is played. When you’re needing a rousing soundtrack to get you reaching higher and being more positive that you can achieve something, perhaps a Hans Zimmer soundtrack like Inception will do the trick. For an emotionally uplifting soundtrack, the Last of the Mohicans by Randy Edelman and Trevor Jones is a gradually building one that rises to a crescendo. Creating your own music is enriching and takes you away from your worries in life long enough to stop feeling sorry for yourself. When you’re using your music equipment, it’s a good idea to ensure it’s performing properly by testing it. Avermetrics have a variety of professional audio testing equipment to do just that. Improving your mood using music is an inexpensive, quick-acting solution to negative feelings. You cannot feel both happy and unhappy at the same time. Each emotion needs the space to be felt in isolation. By listening to music each time you’re finding yourself feeling down, you self-medicate in a healthy way so you can have a better day. Next entry Is there a formula for music industry success?